Our employees are using texting more and more, and I understand why—your phone is always with you and people respond. It creates an IT challenge—corporate information is now on the personal cell phones of employees and there is no central depository of messages. 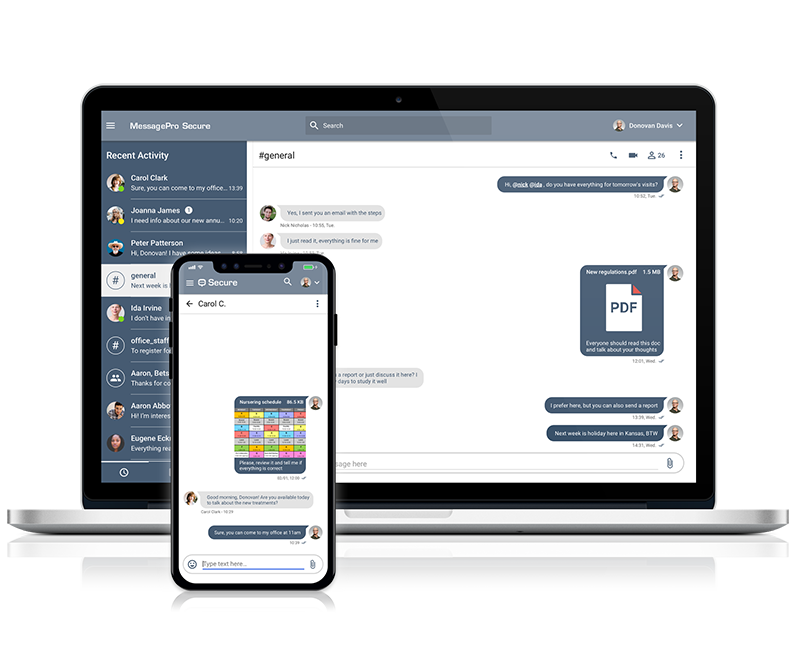 All that changes with MessagePro Secure—employees retain the things they like about messaging; company information is safe thanks to encryption; and our firm gets the organization and efficient tools we need. Win-win. Want to Know More About MessagePro for IT? Let’s Talk!